Rates are not valid between 21st Dec,13 - 5th Jan,14. Prior to 30 days - 2000 per person. Between 29 to 20 days - 25% of the total cost. Between 19 to 11 days - 50% of the total cost. Within 10 days of departure - 100% of the total cost. No Show - 100% of the total cost. Cancellation may varying during peak season. 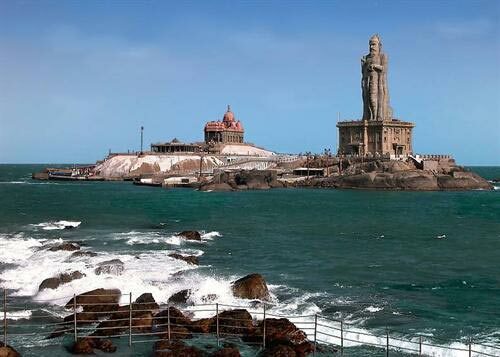 Our friendly representative welcomes you to Cochin, at Cochin Airport or Railway Station and proceed to Munnar. Check into hotel / resort. Munnar. which is called as Nature Lover's Paradise and is at 1800 mts above the sea level. Overnight stay at Munnar. Located in the south Western Ghats of India, Munnar is a charming hill station in the Idukki district of Kerala. The land blessed with natural splendour looks dazzling with rocky peaks, rolled mountains, manicured tea gardens and soothing mountain air. 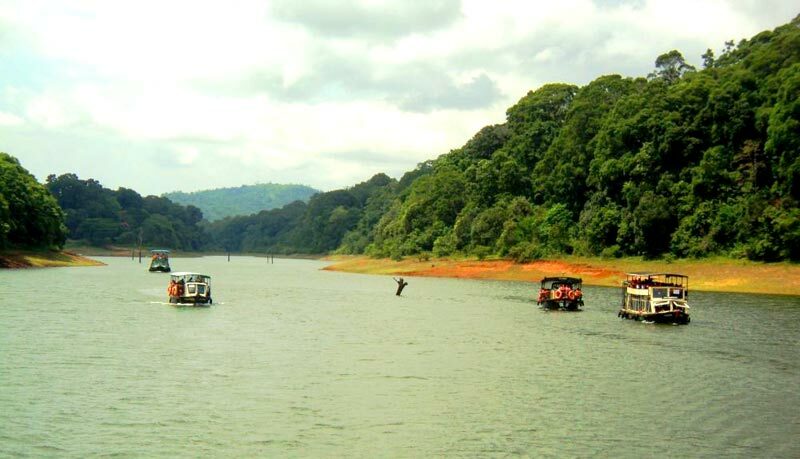 Munnar is located at the confluence of Muthirappuzha, Nallathanni and Kundaly rivers. 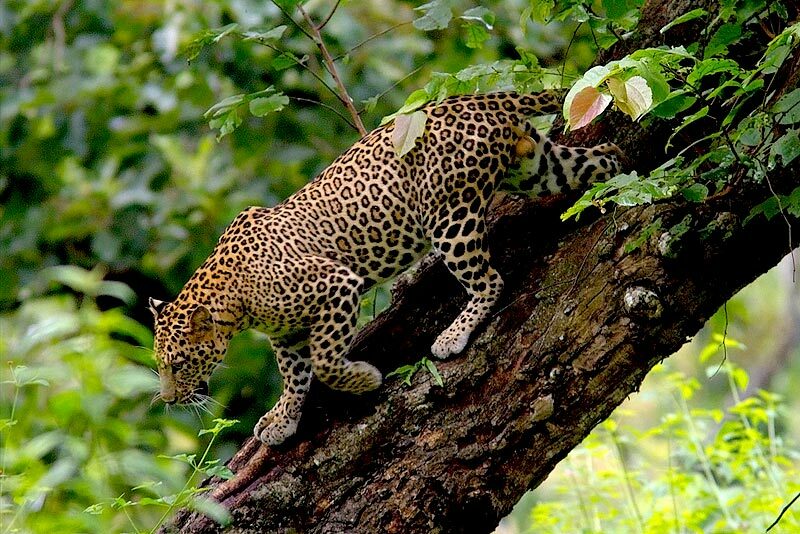 The day at Munnar brings a sightseeing tour of the picturesque environs of the town. Essentially a tea town, Munnar catches the visitor's attention with its refreshing aroma first and then continues to impress with its beauty and placidity. The sightseeing plan for the day includes visit to pristine Mattupetty Lake and neighbouring Swiss Livestock Project, a specialized dairy farm where about 100 varieties of high yielding cattle are reared. The region is worth paying a visit for both its enchanting flora and fauna. Take a stroll around the local markets to pick souvenirs before you return to your hotel in the evening. After breakfast proceed to Alleppey. 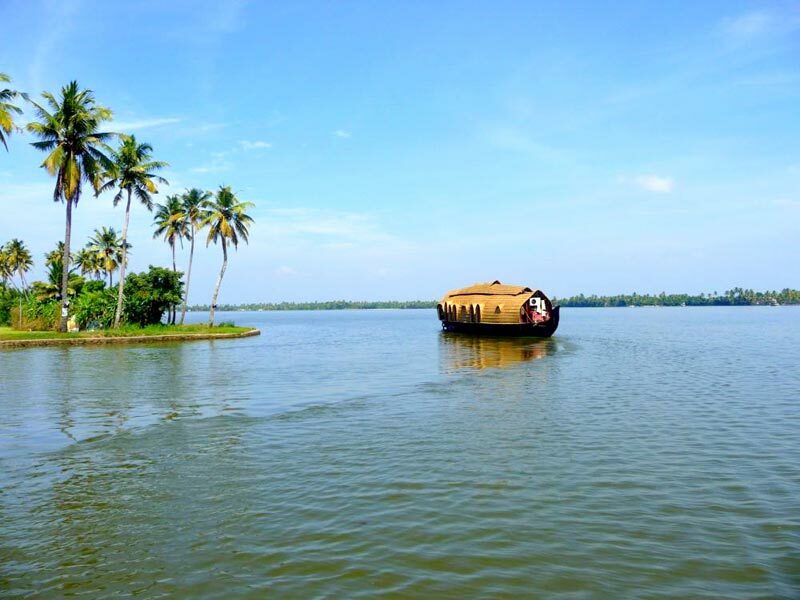 Alleppey which has an immense natural beauty, also known as the "Venice of the East". 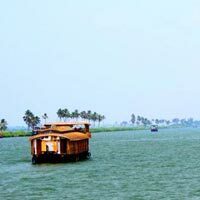 It is famous for the backwaters, boat races, beaches, marine products and coir products. 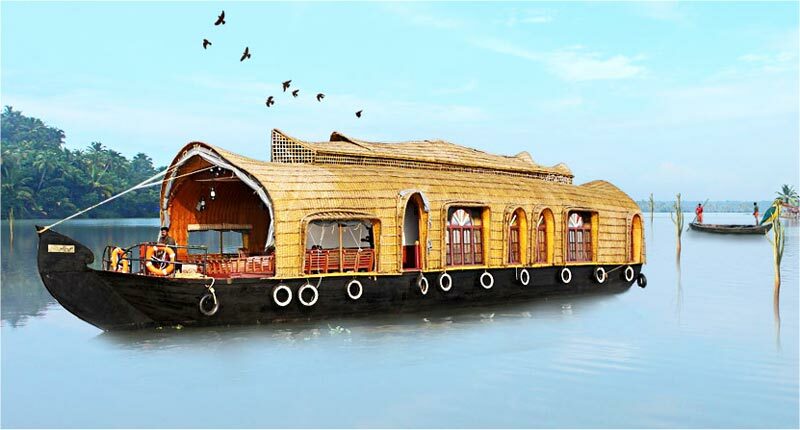 Enjoy the day at Backwaters. Overnight stay at Alleppey. Cancellation Policy Prior to 30 days - 2000 per person. Between 29 to 20 days - 25% of the total cost. Between 19 to 11 days - 50% of the total cost. Within 10 days of departure - 100% of the total cost. No Show - 100% of the total cost. Cancellation may varying during peak season. What to know before you book Package valid only for Indian nationals. Air tickets and hotels are subject to availability. It is mandatory for guests to present valid photo identification at the time of check-in. The identification proofs accepted are Driving License, Voters Card, Passport, Ration Card. Without valid ID the guest will not be allowed to check in. Note- PAN Cards will not be accepted as a valid ID card. All transfers and sightseeing are as per the Itinerary/package and in case of Air Conditioned vehicles, It will be switched off in the hills. The inclusion of extra bed with a booking is facilitated with a folding cot or a mattress as an extra bed. Early check-in or late check-out is subject to availability and may be chargeable by the hotel. The standard check-in time is 1300hrs and the standard check-out time is 1000hrs. Any kind of personal expenses (Laundry, room service etc.) or optional tours/ extra meals are not inclusive in the package cost. The hotel reserves the right of admission. Accommodation can be denied to guests posing as a couple if suitable proof of identification is not presented at check-in. In case of non-availability of above mentioned hotels similar category hotel will be provided. Blue Bird Tours & Travels will not be responsible for any check-in denied by the hotel due to the aforesaid reason. Blue Bird Tours & Travels reserves the right to change/modify or terminate the offer any time at its own discretion and without any prior notice.